You have probably read it a thousand times how year X will the year of the Linux desktop, only to know deep down that this will be repeated again next year by some tech blog/pundit with some news on how awesome Linux is doing in the desktop market because of some obscure government program of buying pre-installing Linux desktop for school/community. – Not everyone buys a new computer every year. – People who do buy a new computer is likely to go with the OS they are familiar with. – Most people are not tech-savvy enough to start downloading Linux ISO and install it. – Users are increasingly moving away from desktop computers to mobile devices like phone/tablets. The problem is that we not only have unreasonable expectations but also unreasonable metrics for our unreasonable expectations. I think to call a certain year the “year of the Linux desktop” we need to stop looking at the number of Linux install on the desktop environment and start looking at the factors that’s stopping Linux from crossing that tipping point and becoming a dominant force in the desktop market. For most tech pundits, big label games not being available on Linux environment is one of the main reasons there is no wide adoption of Linux. I tend to disagree. It’s not that the availability of good games on Linux is hampering its adoption but the availability of good driver support for the graphics card is hampering Linux adoption. It’s a classic chicken and egg problem. The game developers don’t make games for Linux because Linux doesn’t have good stable drivers for high-end graphic cards. The graphic card manufacturers don’t put enough resources to support all graphics card on Linux because there are not enough Linux users to be worth the trouble for them. It’s a no-win situation and we needed someone outside (or rather inside the gaming industry) to really rattle the cage and wake everyone up and start noticing Linux as a viable platform for Graphic card manufacturers to spend their resources on. 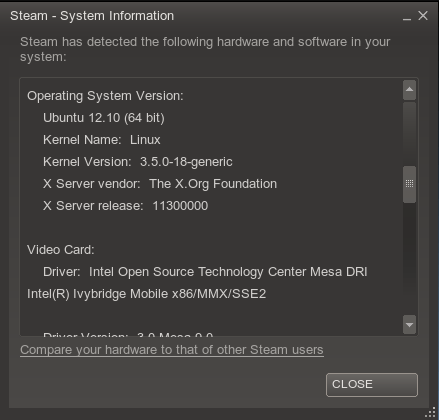 Valve’s entry into the Linux world has really done the world of good for the future of Linux. People, who matter, are starting to notice. Don’t get me wrong, we are far from seeing major AAA games on Linux, but it’s a tipping point and we have finally crossed that in 2013. We might not see huge traction in 2013 for games in Linux just yet, but this will be known as the year when things started happening for games in Linux. I also think that HumbleBundle did a world of good to bring the game to Linux and probably doesn’t get enough credit for their work. I strongly believe that Ubuntu has done more to bring Linux to the desktop environment than anyone else. It’s true they might not contribute enough back to upstream but they have repackaged Linux to be an insanely easy to use and pleasing to eyes for mass adoption, more than any other Linux distribution. And in 2013, with their entry into the mobile market, they are in a unique position, if done right, to be a game changer. Imagine a mobile phone when plugged into your computer becomes a full-fledged desktop OS. 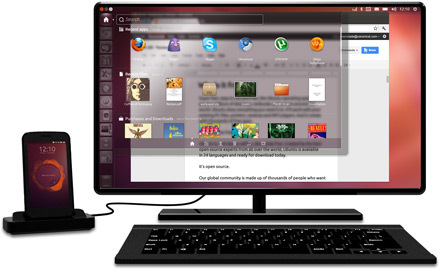 Unlike the current mobile OS which is built for the mobile environment, Ubuntu Phone OS can be built both for mobile and desktop environment. As mentioned before I believe the future of personal computing will have a dramatic shift towards mobile devices. The screen on mobile devices are getting bigger and the performance is getting better over time. Other than some special purpose hardware-intensive application, today you can do almost everything on your mobile devices (and more) that you could do on your desktop. The mobile device is the new desktop. The good news is that Linux is already a dominant player in the mobile market, thanks to android. 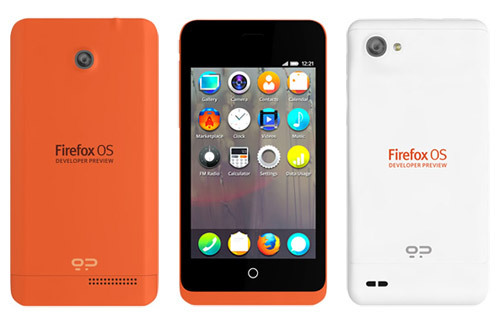 And with the inclusion of Firefox OS and Ubuntu Phone into the mobile market this year the Linux market share will only get stronger over time. I think instead of only looking at the numbers in market penetration, we have to start looking at the market situation as a whole. To me, if there ever was a single year where Linux has reached that tipping point to start making a dent in the desktop market, 2013 is it. So maybe in 2014, we can stop looking for the year of the Linux desktop and start looking at the year of Linux dominance.